Grade A Construction offers the products and insulation installation expertise to handle any of your most demanding insulation requirements for commercial and residential projects. We represent the world’s most recognizable insulation brand names and the most advanced technologies in the insulation industry. This helps us help you at improving energy efficiency, eliminating air infiltration, preventing mold growth, increasing sound control and complying with fire codes. Look to Grade A for all your fiberglass batts, blown in cellulose, blown in fiberglass, Spider Systems and foam insulation needs. We offer caulk sealant packages, draft and fire stopping, sound control packages and basement wall insulation as optional services. Grade A Construction is a licensed contractor using the patented BIBS System as authorized by the Blow-In-Blanket Contractors Association. Grade A Construction is a licensed contractor for the Spider Systems. Today’s home buyers are demanding quality not only from the insulation products they buy, but also from the insulation contractors who install them. Grade A Construction has earned their certification for membership in a unique Certified Contractor Program developed by the NAHB Research Center, a subsidiary of the National Association of Home Builders, specifically for insulation contractors. Grade A has earned its NAHB and Certified Energy Professional certifications. These programs require strict adherence to prescribed policies and procedures. The result is consistency in the quality of installation from every installer on every job. Grade A handles all aspects of the insulation process for you. We not only do a great job installing the insulation, but we can also remove old insulation due to water damage or as a part of a restoration project using our insulation vacuum. 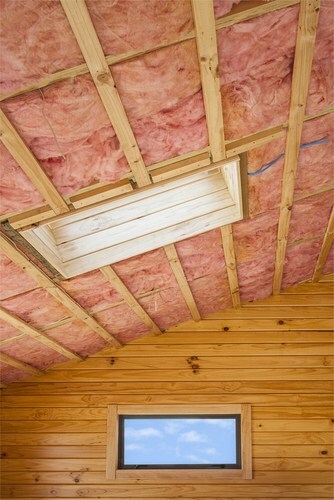 When the time is right, we will make sure the insulation inspection happens promptly. That way we keep your project progressing to the next phase with our Drywall Division. We present to you a successful insulation package based on quality, proven by experience and beneficial to you and your customers. Give Grade A Construction the opportunity to show how we can make the difference.